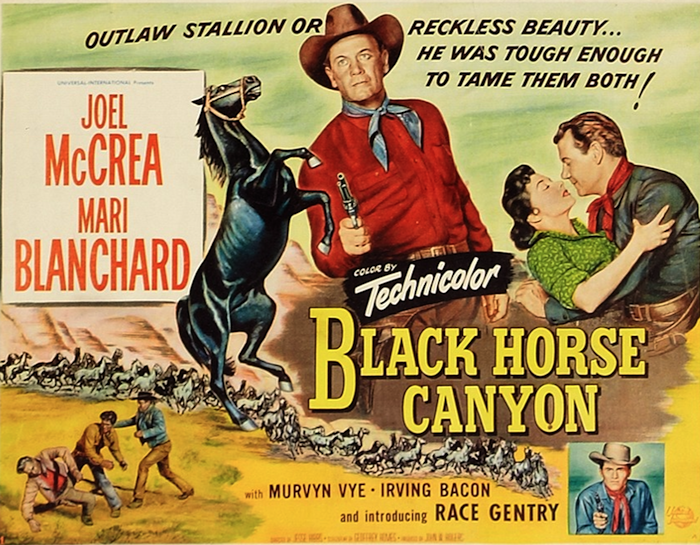 Fritz Lang | 50 Westerns From The 50s. 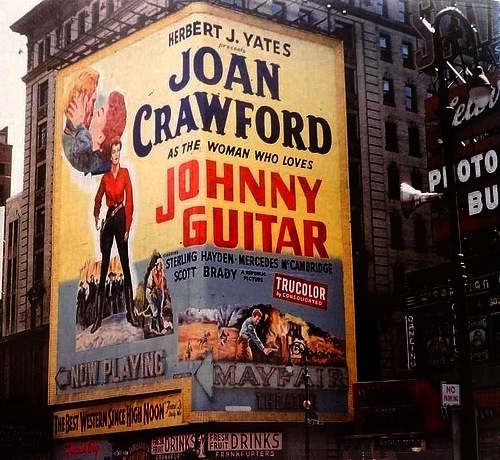 Rancho Notorious (1952) And Johnny Guitar (1954) At The Castro Theatre. 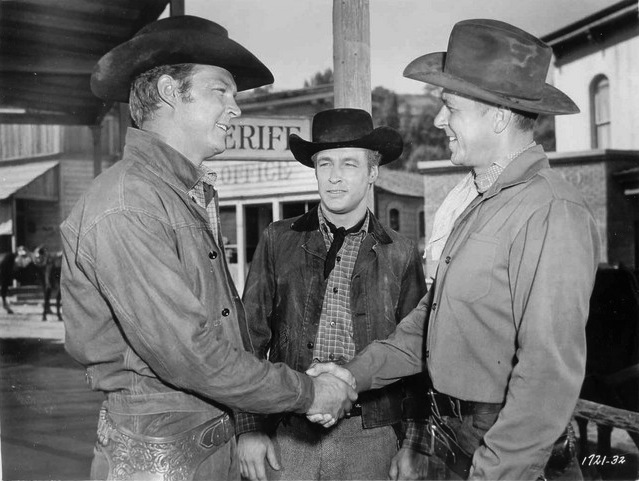 If I ever had the chance to organize a 50s Westerns retrospective (something I’d love to do), this is certainly one of the evenings I’d set up: Fritz Lang’s Rancho Notorious (1952) paired with Nick Ray’s Johnny Guitar (1954). I can’t think of a better night at the movies. 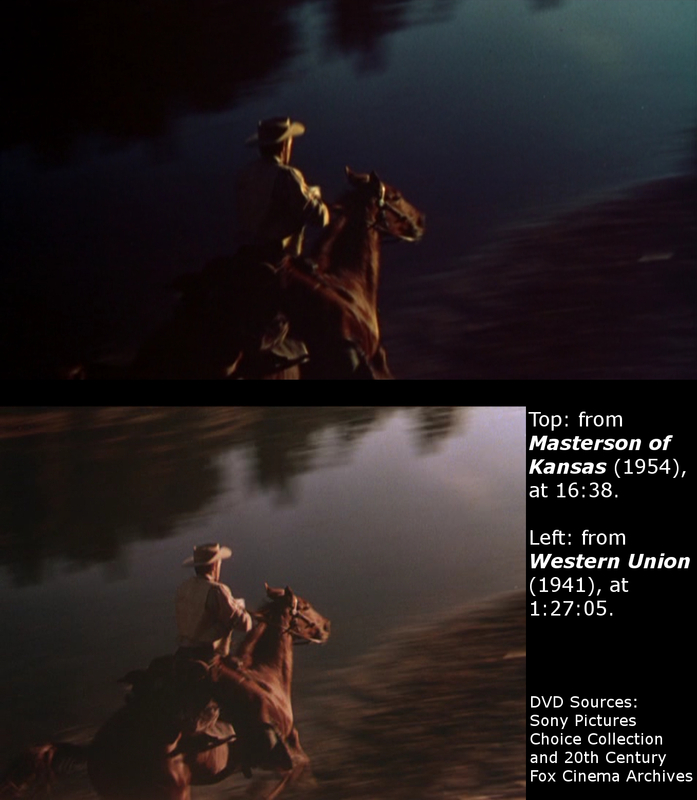 It’s especially cool that Rancho Notorious is a 35mm print. 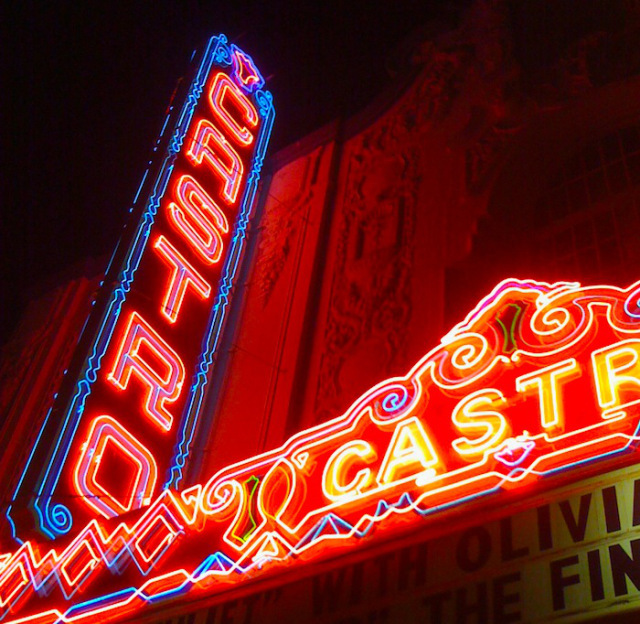 If you make it out to The Castro Theatre in San Francisco on April 23, have a box of Raisinets for me. Here’s Fritz Lang directing Robert Young and Randolph Scott in Western Union (1941). 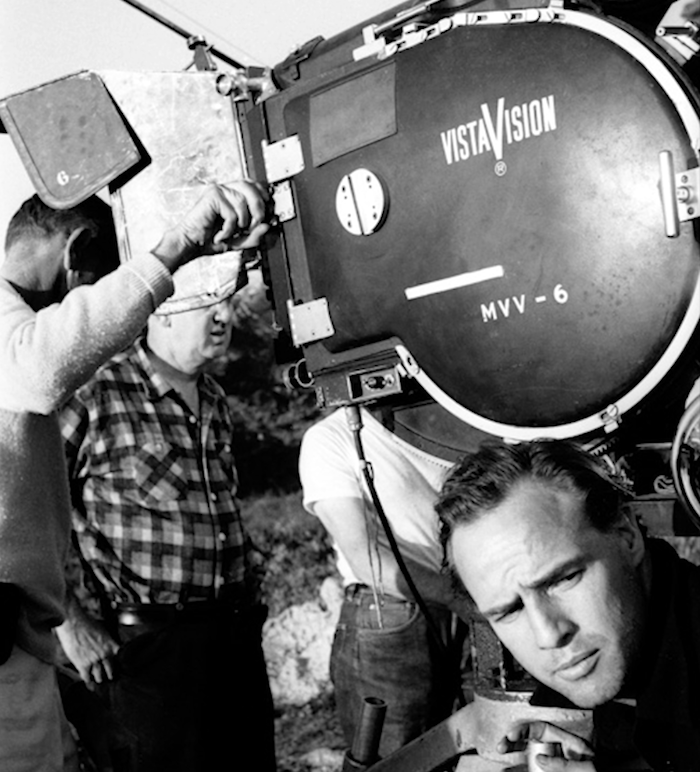 Couldn’t find a shot of him working on his wonderful, whacked-out 50s Western, Rancho Notorious (1952). William Friedkin did a terrific documentary on Lang, basically just a filmed interview. I highly recommend tracking it down. Fritz Lang (Making Westerns) In Hollywood. New York’s Film Forum is serving up a real treat — a two-week helping of Fritz Lang’s Hollywood pictures. 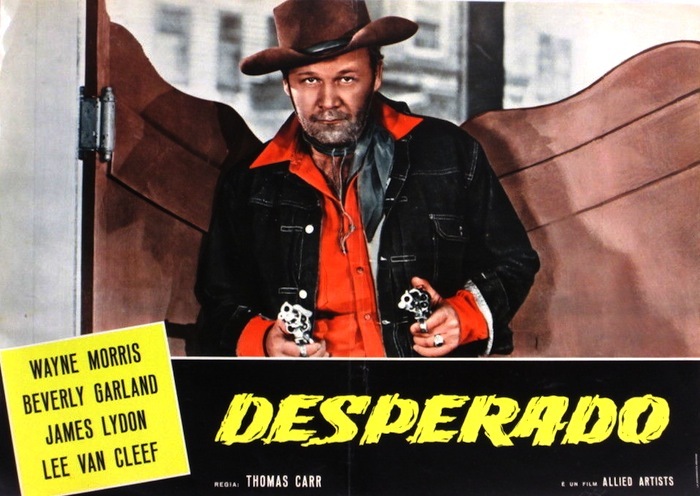 To name a few, Ministry Of Fear (1944), The Big Heat (1953) and Human Desire (1954) are all terrific. And the very thought of seeing Man Hunt (1941), on film, actually projected on a screen gives me goosebumps. 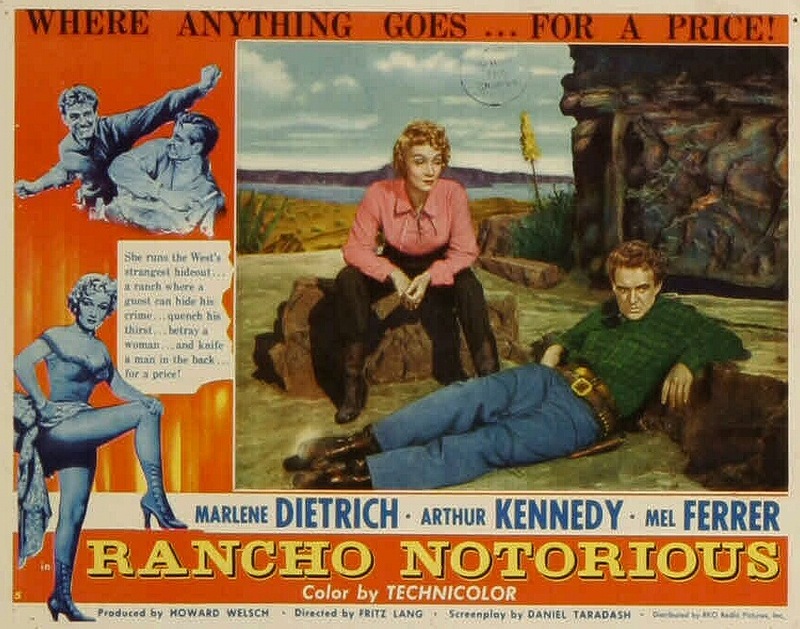 But the one that raises my blood pressure is a rare chance to see his whacked-out Western Rancho Notorious (1952), starring Marlene Dietrich and Arthur Kennedy. It’s showing February 6th and 7th. 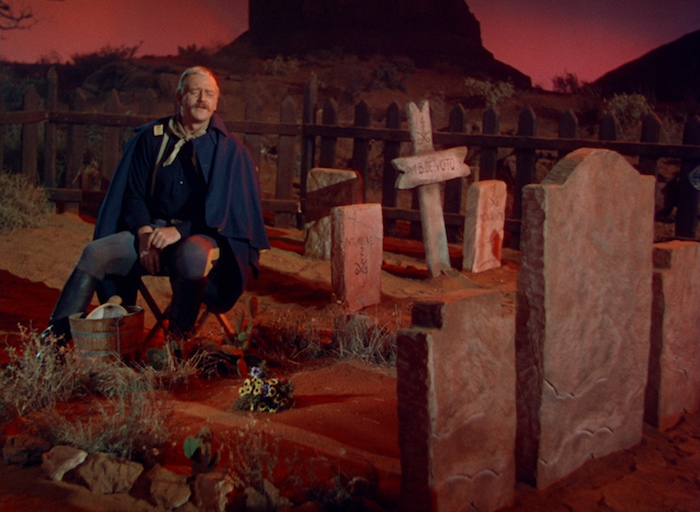 This overlooked masterpiece may even out-weird the only thing I can think of to compare it to — Nicholas Ray’s Johnny Guitar (1954). 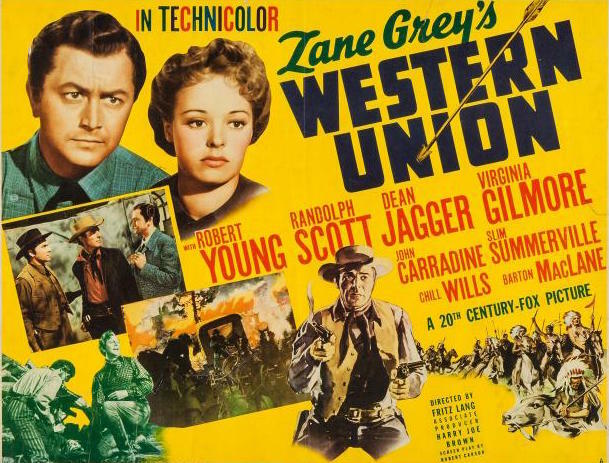 They’re also running a night (Feb. 2nd) of two more Lang Westerns, The Return Of Frank James (1940) and Western Union (1941).